Customer service is not a department; it is an important function of every employee. When customers are pleased with a product or service they may tell one or two others; but when they are dissatisfied, they are much less restrained. Poor customer service causes negative word-of-mouth that your organization wants to avoid, which is why the people you select to interact with customers are so important. Profiles International offers valuable assessment tools to help you identify employees with superior customer service skills, as well as coach existing employees to greater success, and to help you create a system for measuring customer satisfaction. Learn how to keep your customers. Every customer service encounter has the potential to gain repeat business or drive it away. Poor customer service costs your company dearly. 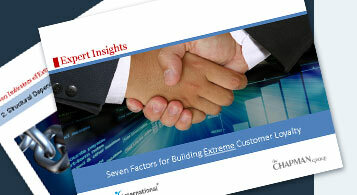 Worldwide, up to two-thirds of all customers leave due to poor customer service. Fostering outstanding customer service is every employee’s responsibility. Skills can be learned by employees willing to put forth the effort, but our personalities and core behaviours are difficult to change. That’s why we encourage our clients to carefully consider how well their employees’ core behaviors fit with the actual job he or she will be performing.PROFILES CUSTOMER SERVICE PROFILE™ helps companies gauge how well a person will fits a specific customer service position. Identify those who excel in their role and then use assessments to find out what makes them successful. Create a model against which you can match potential employees interested in the same job. Gain insight as to where employees may be at risk. Offer specific coaching tips and development suggestions. It is also important to survey your customers to learn first-hand how committed they are and how you can build customer loyalty. Having insight into your customer’s perception of your relationship allows you to steer strategic business efforts and initiatives of the account team. PROFILES LOYALTY PRO™ allows organizations to survey their clients, and even gather feedback about specific customer-facing employees. Capture the voice of the customer. Provide a holistic view of the account by measuring all management levels and across all functions. Provide reporting and analysis capability that enables you to view, sort, and analyze account data and trends. Influence strategic account plans enabling you to proactively manage gaps in clients' expectations. Identify revenue opportunities and grow accounts. Provide an insight into competitive position. The impression your employees create can make or break not only the current sale, but future sales as well. When you hire, look for employees who have the personality and behavioural traits to increase customer satisfaction, reduce complaints, build customer loyalty, increase sales, and make significant gains in profitability. Customer service-oriented employees are powerful assets for growth and success.